This weekend has really been a busy one! Since my last post, I have officially joined the Edinburgh University Mountaineering Club (EUMC). I debated a lot about which sport society I would join, thought about Cross Country, Track, Basketball, and even Rowing, but in the end I settled with EUMC. I honestly could not have a made a better decision. I’ve met great people, gotten good workouts, and seen some amazing views! The EUMC festivities started Thursday night with their first social of the year – Beerienteering. Which, as you probably guessed is an orienteering pub crawl. We all met at Teviot at 8 PM and were subsequently duct taped to two random people in the club. (I had my ankles taped to a girl from England and a girl from Germany.) Then we were given a list of riddles that would lead us to the right pub and set free to six-leg it around Edinburgh. Everyone ended the night in the resident club pub, The Tron. The Tron is across the street from the Tron Kirk, a 17th century church turned into a weekly market and Fringe Festival venue. It was part Fresher hazing, part cross-city race, but all fun. Friday, I was very thankful (for anyone with college experience can guess) that I had the day off from classes. However, at 6 PM I met with the club again outside of Appleton Tower (far side of the University) to drive out to Glen Coe for a weekend of camping and hiking. 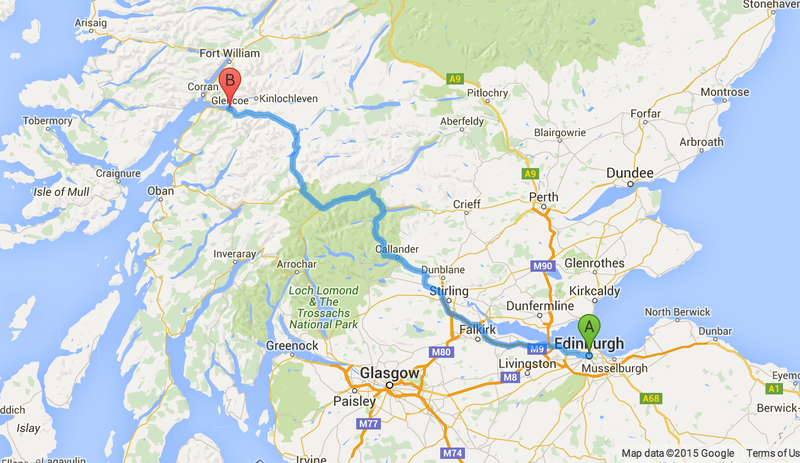 It was a two and half hour drive out to Glen Coe from Edinburgh – here’s a map. I was not only excited for the hiking, but also the history! In 1692, Glen Coe was the site of a massacre of Scottish clansmen who did not pledge allegiance to the new King and Queen of England, William and Mary. This event was in the wake of the Glorious Revolution and the subsequent Jacobite Revolution of 1689. It was a time of a lot of political, religious, and cultural tension between England the Scotland – a time just after the Stuart kings ruled both countries but before the Act of Union of 1707. 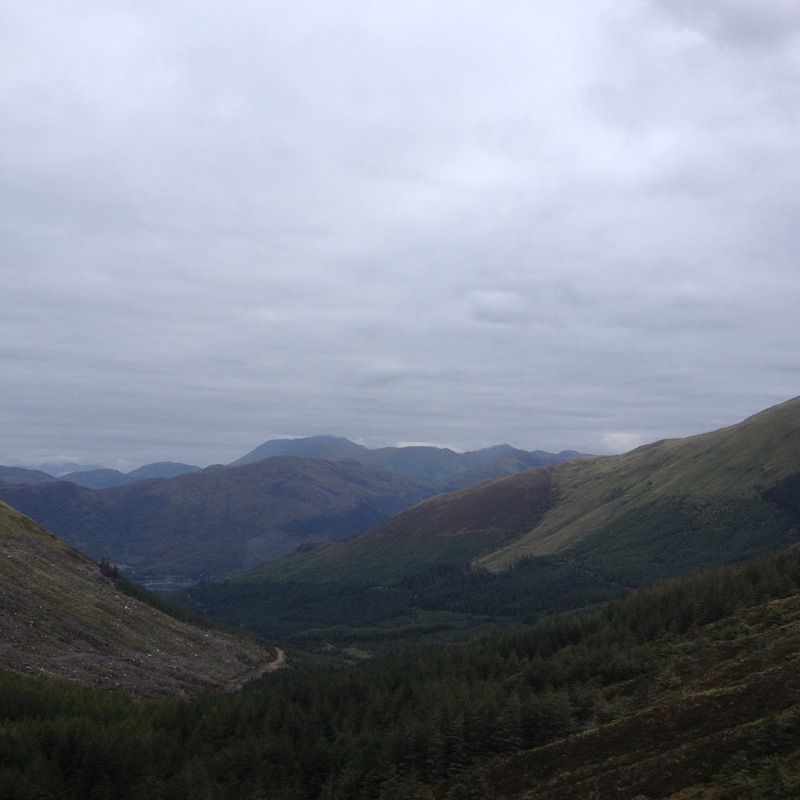 Glen Coe is properly in the Scottish highlands, so the views and scenery were incredible. We got to the campsite late Friday night, so it was dark and we couldn’t see the mountains – but in the morning when I crawled out of my tent… I still can’t get over just how amazing it was. I honestly didn’t know that the morning sky could have so many colors. Saturday was a very long day. 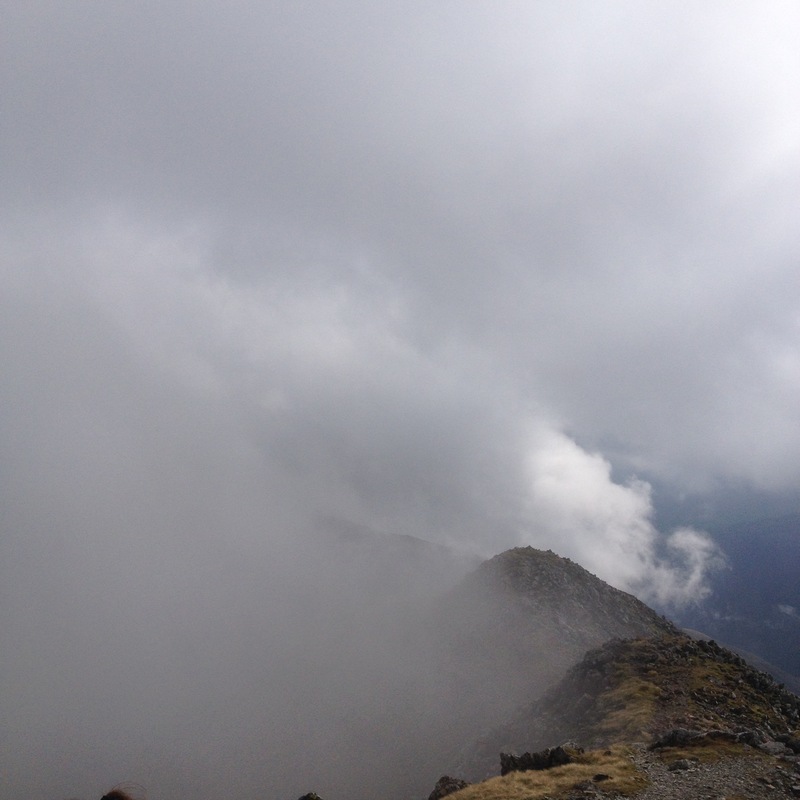 I hiked the Ballachulish Horseshoe, a ridge near Glen Coe. I was up by 7:30, had a quick breakfast of a peanut butter and nutella sandwich, packed my day bag, and was on the bus by 9:00. It was a long hike – nearly 10 hours! 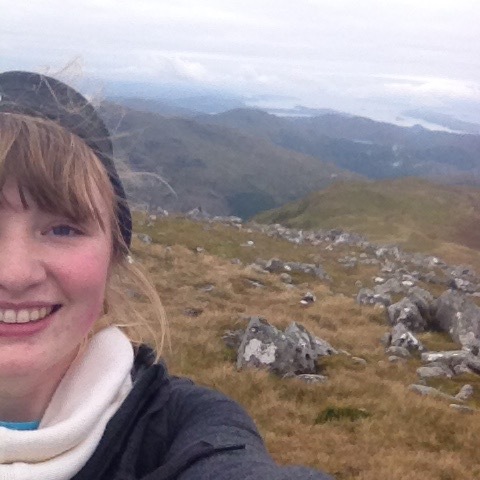 I climbed my first ever Munro, (a Scottish mountain classification that is over 3,000 feet), and then climbed another! The ascent was through a pine forest and it honestly looked like something out of Lord of the Rings. When we reached the base of the mountain, I had to scramble a bit up the ridge. Basically, any attempt that I had at having nice manicured nails is gone. There were a few tough spots but honestly, I think the views took my breath away more than anything else. It’s just so jarring every time I realise that I’m in effing Scotland. I know that I am living here now, but times like this when I am seeing the highlands for the first time – I still feel like a tourist! The view from my first munro was indescribable. It felt like I was at the top of the world and I just kept thinking about all the people that had come to the top before me and just how much my world has changed from theirs. But, I guess that’s another thing about Scotland that I’ve noticed. I’ve been to the mountains in Colorado, and while I know that those mountains are higher and probably older – the mountains here in Scotland just feel so ancient. I felt so out of time hiking there, I just expected to see a Highland Warrior jump from behind a rock. The descent from the top was a little difficult, because I don’t really have to descend mountains in Kansas! I walked for a while along an exposed ridge, which was honestly a little bit terrifying! But at the same time really exhilarating – it was like the perfect balance of “this is really cool, but I could also fall and die” adrenaline rush. By the second Munro, I was definitely feeling the burn of walking. But, then I saw a few sheep all the way at the top and figured if the sheep could get to the top I most certainly could. Again, the descent was rocky and ridgey, and all together terrifying, but all together fun. To get back to the right spot next to the mini-bus to take us back to camp, we had to take a shortcut through a very steep heather field. Heather is deceptive. It does not actually lay flat to the ground all though it might look like it. 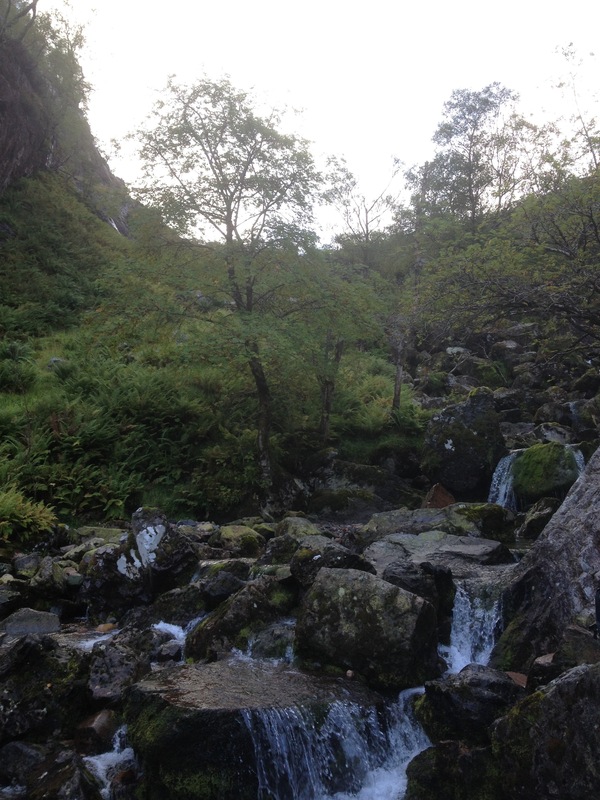 I fell down the hill and into more streams and puddles than I can count – I guess that part of the experience as well. I’m just really glad that I didn’t have any ticks on me after! That evening, the entire club went to probably the most stereotypical Scottish event I have ever seen. It was a small pub next to the lodge filled with other mountaineers. The inside of the pub looked like something straight out of a google search for “Scottish Highland Pub.” There was even a live band playing folk music. And yes, there was a bagpipe. And yes, it was VERY loud inside. But, I guess after having a long 10 hour day with only PB&J sandwiches, granola, and water – going to the pub was nice. The next morning no one was up until at least 8:30. We had to pack everything up in the morning because we would not be coming back to the campsite after our hikes. 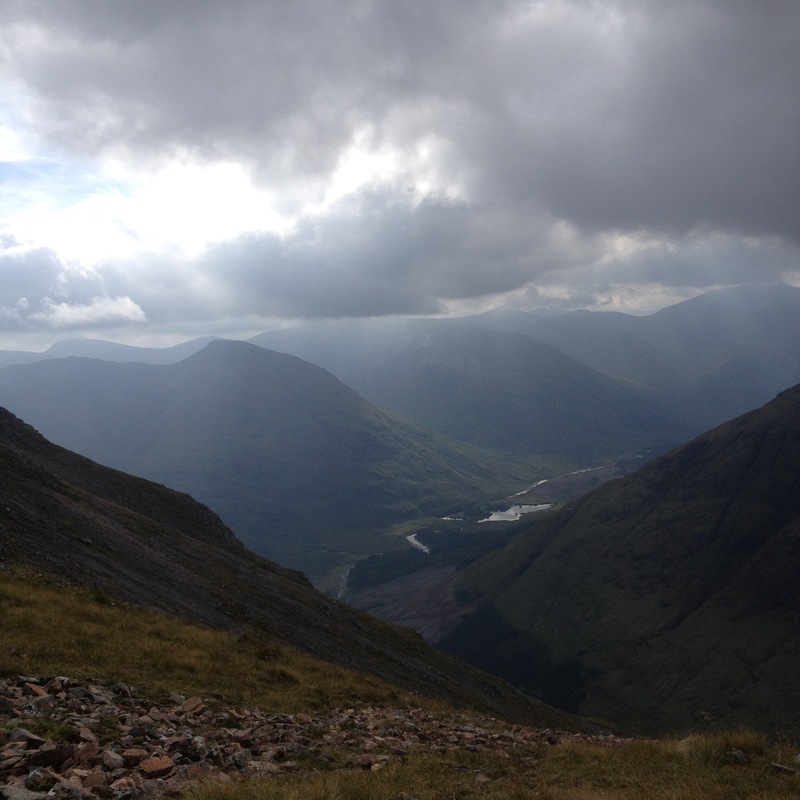 That day I hiked the Lost Valley, which was actually one of the places that the massacre of Glen Coe happened. Really jarring honestly, reminded me a lot of walking on Mass Street and thinking about it being the site of Quantrill’s Raid. This hike was harder than the day before. I was also really tired too. 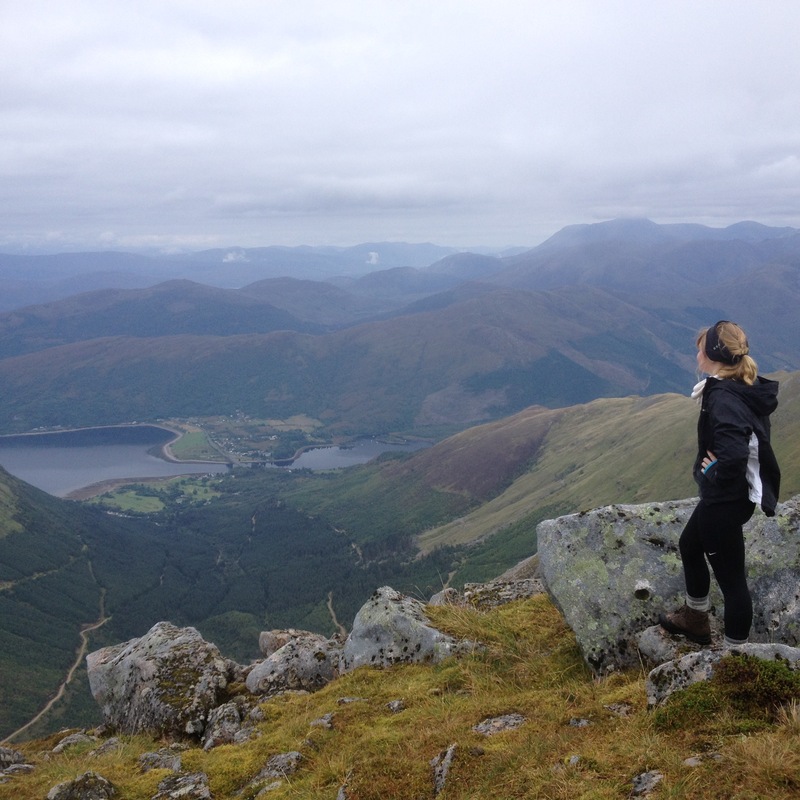 We climbed the highest peak in Argyll – Bidean nam Bian (3,770 feet) But, I did it and I can add another Munro to my list. Three down 280 to go! I was so tired on the bus home that I nearly slept the whole way. We stopped for food in Challender and I had fish and chips. We got back to Edinburgh around 9:10 and I hiked with all my stuff back to my dorm. I was honestly so worn out from the weekend, but I definitely would do it again in a heartbeat.